Ok how many screenshot programs does a blogger need? Apparently yours truly (me) needs one more. I keep coming across new and excellent screenshot taking software. I have long been a fan of FastStone Capture and recently reviewed PicPick. I just came across Screenpresso – a free and feature-rich screenshot taking freeware utility. Screenpresso claims to give professional look to your screenshots for free. I have to be honest here. 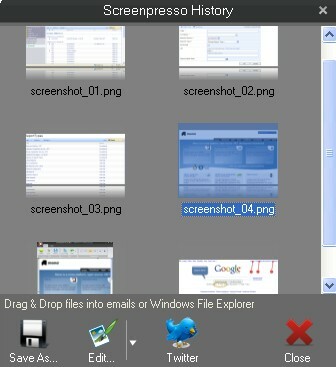 Screenpresso has to the most feature rich screenshot utility I have come across. Screenpresso is about to come out with a Pro version in the future but it’s not clear if some of the features in the free version will be pulled back at that time. Had no idea there was such a thing as a sreen shot program. I usually just use the printscreen function from my keyboard, but sometimes find it a little troubling. This sounds excellent. I think I shall take your good advice and prudently download now. Great post. Sounds like a pretty cool application. but there are a ton of screen shot programs out there. I will check it out and see. Thanks for sharing. That is really interesting, thanks for giving the heads up! Never tried Screenpresso for screen shots and I’m drawn to some of the features. I wonder whether the Pro Version is out or not, need to check out for more information.